Sending your loved ones gorgeous flower arrangements is a great way to instantly boost their mood and strengthen your connection. If you want to surprise them, however, it can be a challenge to think of opportunities to catch them off guard. 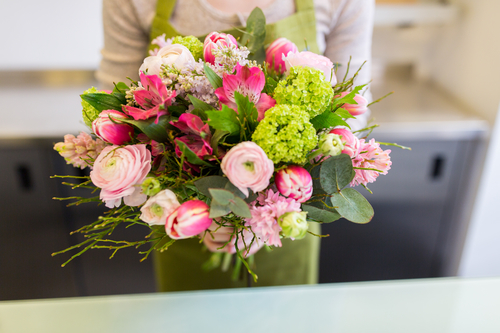 While they may expect a flower delivery after the birth of a new baby or on a wedding date, if you get creative, you’ll be able to catch them off guard. The following is a list of unique reasons to send flowers. While a flower delivery on your wedding anniversary is a classic gesture that’s always appreciated, it’s also fun to surprise your partner at other times of the year. Think back to the day you met, the day you proposed, or other milestones in your relationship. Celebrate these unique anniversaries with flower arrangements. Students work hard to reach academic goals, and it’s encouraging to be rewarded. When your child hits the honor roll, aces an exam, or gets accepted to college, sending a bouquet is a thoughtful way to celebrate. Whether it’s a new job, promotion, or award, work accomplishments deserve to be recognized. When someone you love reaches a new pinnacle of career success, a flower delivery is the perfect gift. They’ll be sure to be surprised by your thoughtfulness. When you welcome guests into your home, it’s common for them to bring you a gift. Turn the tables on this tradition by decorating your guest bedroom with flower arrangements that will make them feel welcomed. You may also want to welcome your domestic partner after returning home from a long trip and flowers are the ideal way to do it. When you want to surprise a loved one with flower arrangements, think of reasons that they won’t expect. Regardless of your motivation, Laurel Grove Florist in Port Jervis, NY, can help take care of professional and efficient flower deliveries. Their gorgeous selections will bring a smile to your loved ones’ faces, no matter the occasion. To place your order, call (845) 856-2713 or visit them online.